The time arrived for yet another important chapter in the Electric Road Trip. A voice in me kept saying “Go west young man and dog,” and it was a voice I could not ignore. And so the Tesla 70D headed south again, into Nevada and then California, in anticipation for yet another move. An intermediate stop would be Las Vegas on our trek to Los Angeles. Later this year, the Tesla supercharger route from Reno to Las Vegas would be completed, and a Tesla could quickly run south for the 500-odd miles in the most direct routing possible. A detour was needed for this leg, however, and the best routing looked to be southbound down Interstate 395 to Big Pine, then a scoot between the mountains on seldom-traveled roads near Death Valley in order to hit the Beatty supercharger for a much-needed recharge before taking on the final leg to Las Vegas. This routing could not be repeated in the reverse, direction, due to the elevation changes, but topography was on my side, and so we set sail. What a joy to see that no off-supercharger charging would be needed. 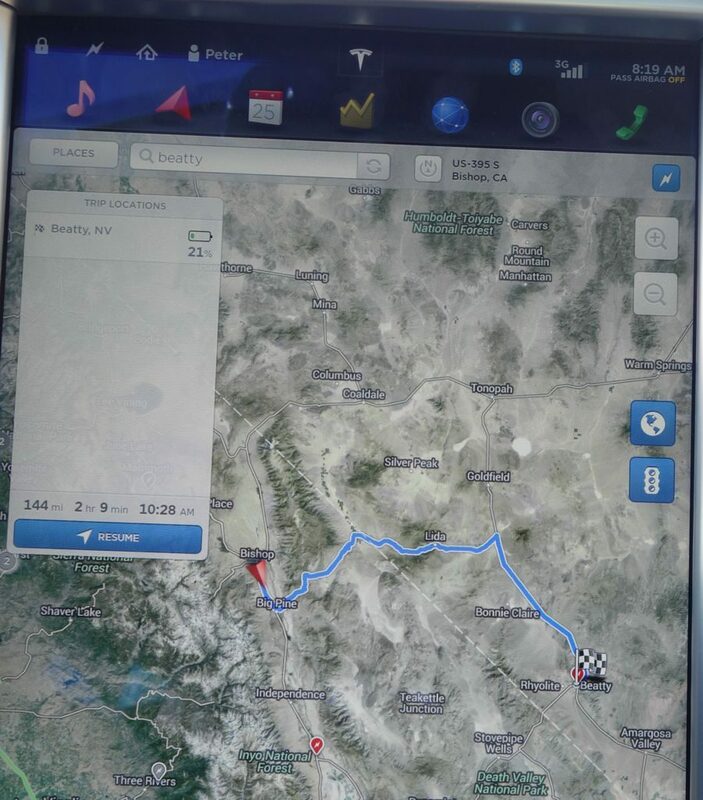 Unlike the trip this past summer, the route south from Reno could be covered with stops at new superchargers located at Topaz Lake near Gardenerville, and at Mammoth Lakes, California. 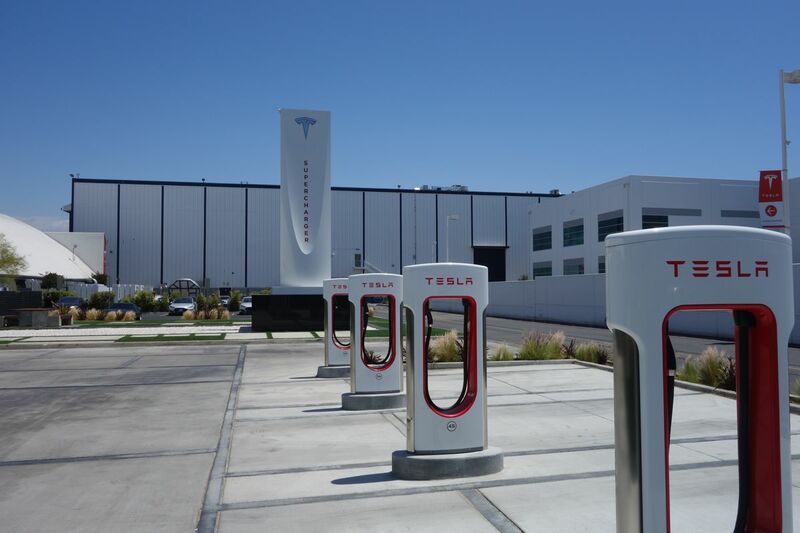 The rapid-growth of Tesla’s supercharger network is taking most of the sport out of long-distance travel these days, but the Mammoth to Beatty leg would be an exception. After over-nighting in Bishop, I hit the road for Beatty with a proposed arrival buffer of 21% charge. 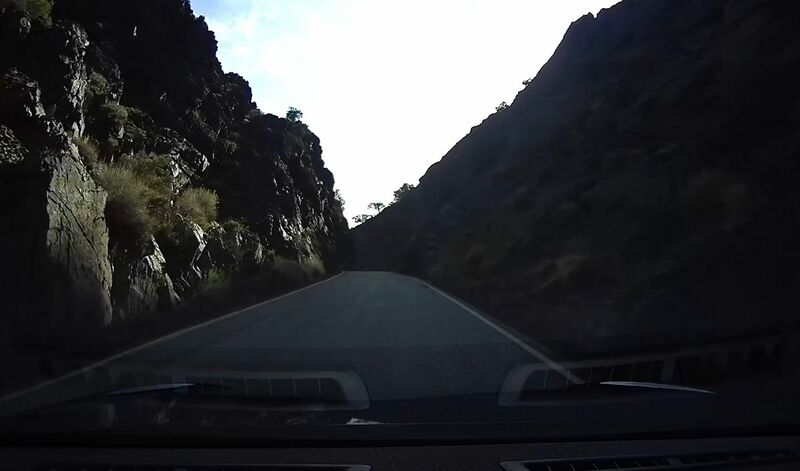 Tesla’s onboard navigation software would never have routed me through this little ribbon of asphalt through the desert mountains. Rather, it would have taken me much further south on well-traveled routes (and also added hours to the trip). At one point the highway squeezed into a single-lane road. If Butch Cassidy and the Sundance Kid were working this part of the country, here is where they’d set up their ambush. After arriving in Beatty with a comfortable 25% remaining energy, I took off for Las Vegas with extra energy in the battery, due to a 75 mph cruising speed planned through the desert. The trip’s big surprise? Autopilot had evolved substantially, even since the January trip. If it was a baseball player, I would have given it zero errors for the event. 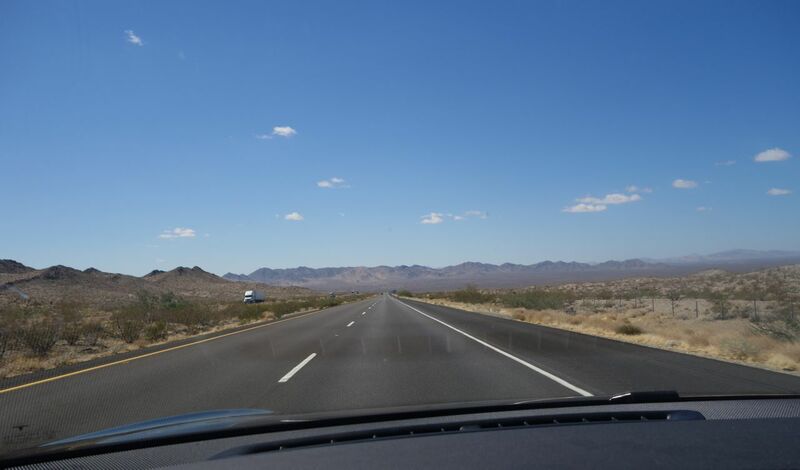 Eventually, the trip turned west towards Los Angeles with the autopilot doing virtually all of the highway driving. I needed a charge as I neared the ocean, and so I pulled into the Hawthorne supercharger, located in the holy ground between Tesla’s design studio on the left and the huge SpaceX building in the background. 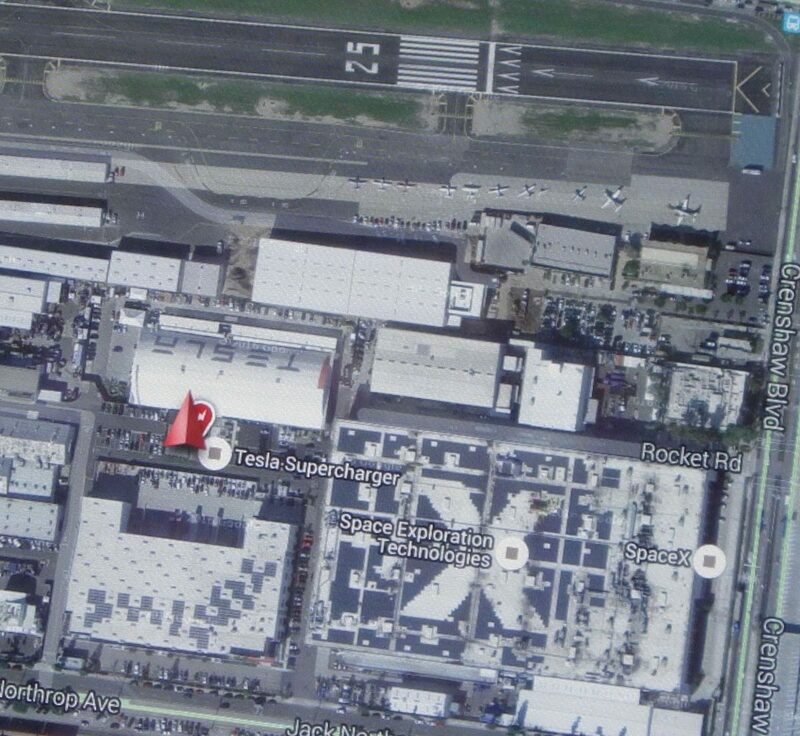 Tesla’s navigation display gave a great view of where we were, right next to Hawthorne Airport. And now the 70D rests with much care provided as it awaits its next adventure. Many of you have now heard about the Solar Eclipse 2, the electric airplane that is powered by solar panels atop the wing and other structures. The plane has a wingspan longer than a 747’s, and yet it weighs about the same as a Tesla Model S.
Adventurers Bertrand Piccard and Andre Borschberg have taken turns piloting the craft from the Middle East to Japan to Hawaii and now to the U.S. mainland. The plane wintered in Hawaii and I had several opportunities to meet the pilots and interact with the team. Their goal is far more than to circle the globe in a solar-powered airplane. Rather, they wish to use this adventure to highlight the extent to which clean, sustainable energy has already evolved and to speed up the world’s transition to energy sources that are profoundly better for our planet. Since Tesla and Solar Impulse share similar end results for their efforts, the two groups have recognized the value in each other. The Solar Impulse team invited Hawaii’s Tesla owners to the hangar for a private meet and greet with the pilots and crew. It was fabulous! We presented the pilots with a statement of mutual vision, signed by those attending the event. Bertrand on left and Andre on right are shown giving Hawaii’s Tesla owners a briefing on the mission. Days later, Bertrand flew the plane for 3 days before landing in California, then Andre took the next leg to Arizona in the push to complete the journey this year. While we were still on the mainland to sample winter, SpaceX chose to launch a rocket from Vandenberg AFB in California. Naturally, Iceman and I headed over there in the 70D to witness the event. I have always been a fan of space travel and even applied to the astronaut program once during my youth. The trip was a perfect excuse to see Tesla’s autopilot at work. On the southbound run to Vandenberg, I decided that a supercharger stop at Tesla’s Fremont Factory would be in order, and so Iceman and I pulled it and hooked up. During our short wait, I said hi inside, the Tesla employees remembered the story of Iceman and me touring America, and they invited Iceman in while we waited. Next to our Tesla, a brand-new Model X was charging. The husband said that the color scheme of their X looked so much like a Star Wars storm trooper, that his wife dressed up the day before as a storm trooper for some shots next to the X. Too fun! The next morning we arrived early at Vandenberg and scored a great parking spot from which to watch the SpaceX Falcon 9 rocket ascend into the heavens. I met another Tesla driver at a nearby supercharger, and he turned out to be a nice fellow I had known for years in a Tesla investor’s forum. We convoyed over to our launch viewing position and began the wait. The weather forecast called for the low overcast to burn off about 8am and the launch would take place hours later. From time to time Mother Nature played with us, giving us a peek at blue sky, then just as quickly taking it away. The rocket would appear over the hills behind me in the photo above, and those hills were covered with grazing cows. Launch time arrived and we heard those mighty Falcon 9 engines coming to life. The anticipation was immense. The cows on the hillside began a stampede, heading away from the noise as it grew steadily louder. After a bit, the noise started getting quieter and by then we all realized that we wouldn’t even get a glimpse of the rocket today. The cow stampede and the noise were top notch, though. The Falcon 9 successfully launched its payload into orbit that day, but a landing leg that failed to lock in the down position meant that the rocket’s landing on the barge would not be successful. On the drive back north, we encountered lots of rain. It was here that I really learned to appreciate the value of Tesla’s Traffic Aware Cruise Control (TACC). The radar detected changes in the speed of the car ahead of me noticeably quicker than I could with my eyes, and thus the adjustments to our speed as the traffic slowed were gentle and not only added safety to the trip but also reduced driver fatigue immensely. During the winter of 2015/16,I had a chance to drive my Tesla 70D in snow, and it was a delight. While visiting relatives in Reno, Nevada, a snow storm hit, which dumped plenty of white suff on the valley floor and even more in the mountains. Although the Tesla lacked snow tires, it had all-season tires and these performed surprisingly well. Naturally, Iceman accompanied me on this mainland adventure and what a joy it was for him. He regarded snow as a magical white sand that removed excess heat from him and kept him comfortable even when exercising. He sometimes zoomed like a puppy, delighting in this newfound cool. For a dog who has grown up in Hawaii, snow pure delight. 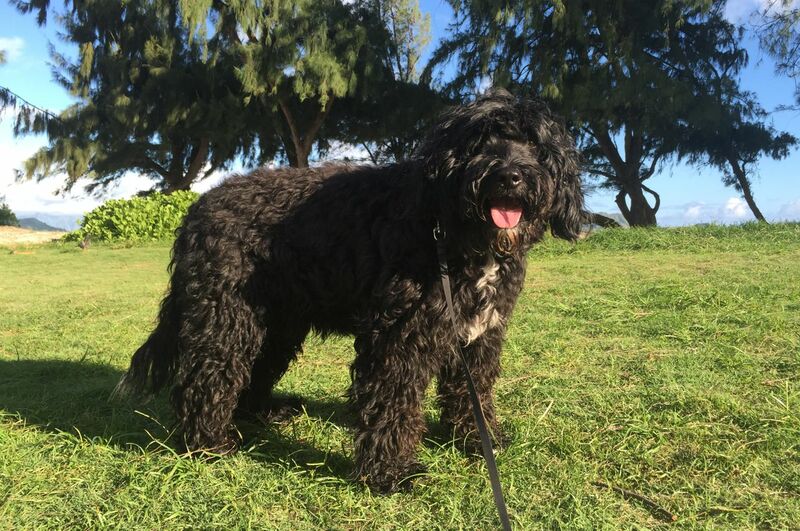 Who would have thought that this was a Hawaii dog on vacation? 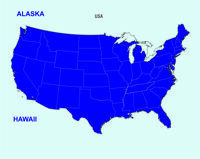 This road trip began in Hawaii and has been completed in Hawaii. The mainland portion of the trip had a definite beginning and end point, too. Northwest of Lake Tahoe, in the California Sierras, lies a rock climbing mecca near Donner Lake. This spot has always been a magical location to me and it was the perfect spot to officially begin and end the mainland portion of the trip. I first crossed this region after having Xpel film and Opticoat protectant applied to my 70D in Walnut Creek by OCDetailing. Joe Torbati and his team did a fabulous job with these paint protectants. At trip’s conclusion, I brought the car back to Joe for a touchup detailing and the car now looks brand new, with no rock damage to the paint. If you’re going to do lots of highway driving, paint protectants such as Xpel and Opticoat are great investments! Returning from my second Walnut Creek visit at trip’s conclusion I again jumped off I-80 at Soda Springs and took the winding road through the Sierras, but this time at first light. If you watch the video you will understand the feeling of “chickenskin” I experienced as the mainland portion of the trip came to an end. To reach San Francisco and head home to Hawaii, I rented a large SUV that only got 15 mpg, felt like driving a large boat on the highway, and wouldn’t even drive itself (imagine that!). The charge for filling up this beast at the gas station was a real eye-opener. Oh, how I looked forward to getting back at the wheel of a Tesla! Early in the morning, Iceman and I arrived at San Francisco International Airport as the sun was just casting its first light and we boarded a jet to Honolulu. 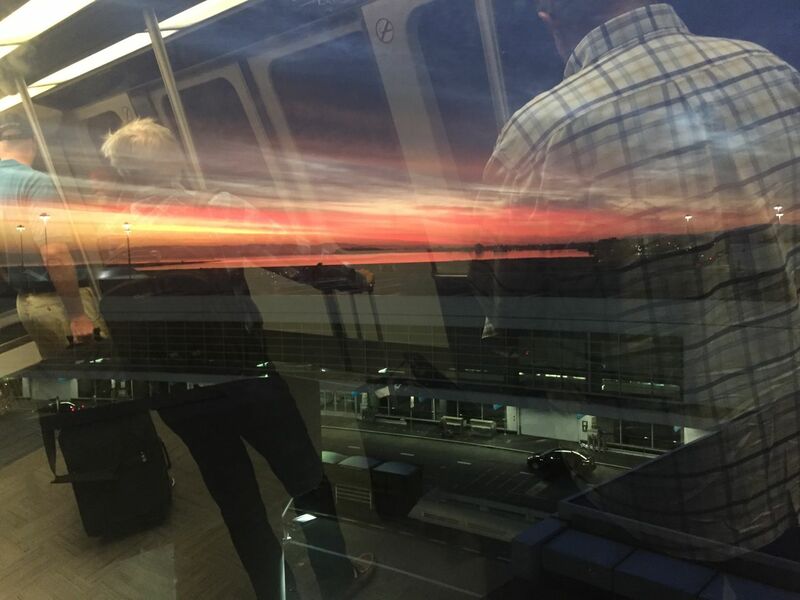 The scene was SFO terminal, San Francisco Bay in first light, and the reflection of our train, bringing sleepy travelers to the terminal from the rental car facility. In Honolulu, Iceman cleared quarantine quickly, and a wonderful neighbor drove us home to Kailua. Iceman was at first somewhat confused as he exited the crate, for I am sure he was expecting yet another new destination and a trip home must have been quite a surprise after two months on the road. He quickly set about doing what male dogs do: marking his territory and reclaiming Kailua in the name of Iceman. His weight upon return: within 1 oz of his departure weight. Wish I could say the same! Although the journey has been completed, this blog will continue to see changes as I beef up the sections having to do with road trips in electric vehicles. I strongly suspect Iceman and I will each have additions to the story as they transpire. In the meantime, why not start planning your own road trip? 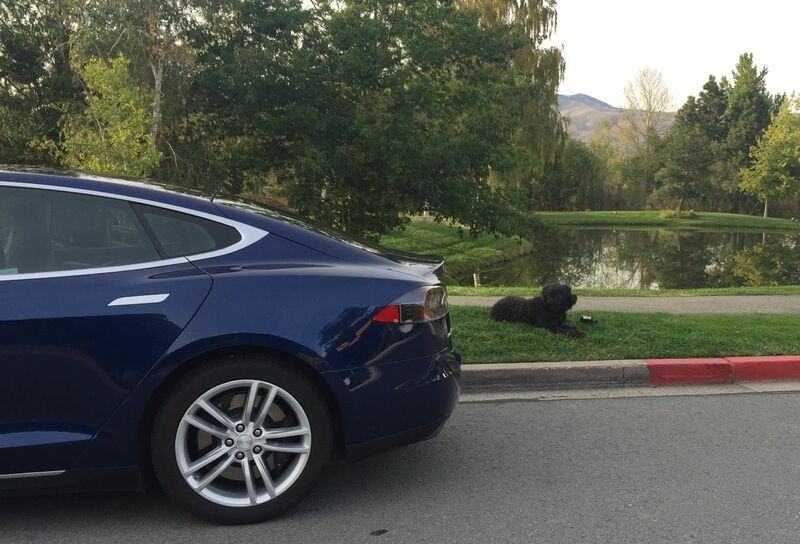 The Tesla Model S is a fabulous car for covering long distances. Sheesh, I’d take an easier challenge any day. 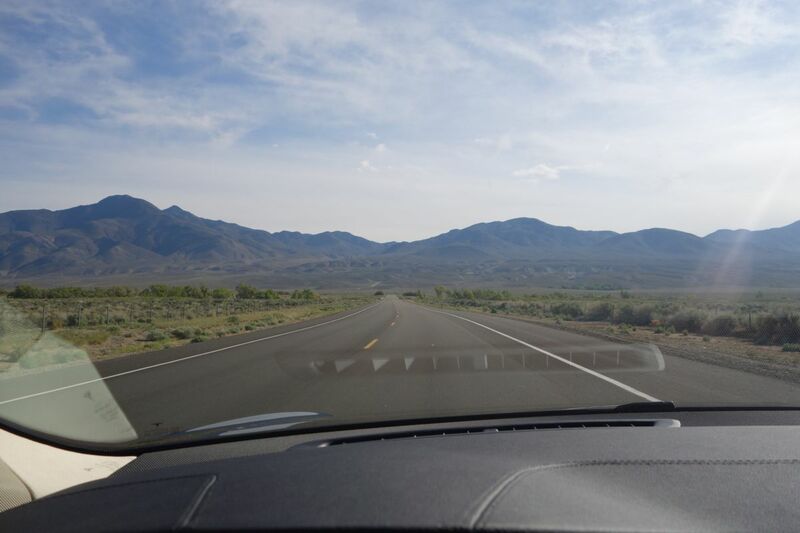 I began the drive at first light, heading from Holbrook, AZ, to Reno, NV. Although California and Oregon will still be visited, Reno is the short-term destination. 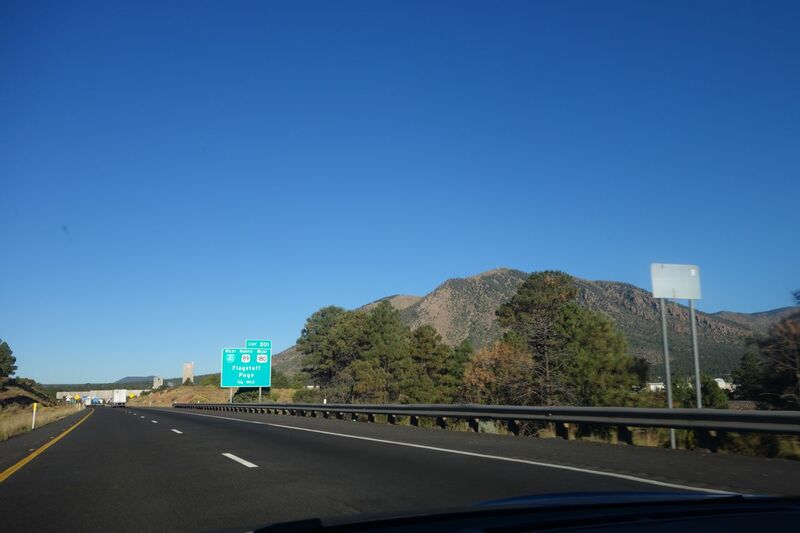 One delightful surprise was the area around Flagstaff, AZ. Flagstaff is at a high altitude, and the desert foliage gave way to trees again. When Iceman and I walked around Flagstaff during our supercharger session, the place had more of a feel of Aspen than anywhere else. The further west I headed, the drier the ground became. Trees gave way to grasses, and grasses gave way to sagebrush and other sparse desert plants. In order to cover 870 miles I needed to keep moving without long pauses, but the supercharging sessions were perfect for keeping fatigue from setting in. Also, the joy of driving a Model S kept me listening to the call of the road. On the leg from Needles, CA, to Barstorw, CA, a headwind made itself known when Tesla’s navigation software put up a “Drive slowly to reach destination” warning. Sure enough, my reserve at destination had dropped to 9%. How does one save energy while still making good time? Find a semi-truck to draft, of course! While slowing from 70 mph to 60 mph as I fell into position behind the semi, my energy consumption dropped from 365wh/mi. to 305 wh/mile. The wind was still there, but I had gained 60wh/mile efficiency on the slight uphill climb. I watched the navigation software’s estimate of reserve at destination increase from 9% to 15%, at which point I was closing in on Barstow and left the semi-truck to resume my own navigation. I was amazed at how well this solution worked for the headwind problem. If no semi was available, I would have fallen in behind a pickup truck or motor home and received partial improvement. In time, you will realize that semi-trucks are placed on our roads as drafting objects to be used by EVs when range needs to be increased. The last supercharger available on the northbound run on U.S. 395 to Reno was at Lone Pine. Here, I took a full trip charge of some 240 miles before pushing forward. En route charging would be needed, and the less charging, the better. Fortunately, a tailwind now presented itself and I was getting some great 220wh/mi. readings as I drove on the 4 lane road at 50 mph and then 45 mph. Remember that when charging at anything other than a supercharger, faster speed means more total time needed to reach a charger and then take on a sufficient charge. To my delight, a semi-truck passed me at about 60 mph, and I was hot on his tail, drafing at 60 and not seeing any substantial energy increase from my solo 45 mph performance. Yippee! To be sure to reach my destination but avoid spending too much time charging, I decided on charging at two locations. At Mammoth Lakes, a local destination charging location offered free charging. Iceman and I were invited to relax in the lobby while the Tesla took on a charge for an hour and a half. I was not depending upon semi-trucks or tailwinds to get me to Reno. Instead, I planned a second helper charge at Minden, NV, where a Tesla charger is installed near Main Street (thanks to TMC member Jack Bowers for placing this location on http://www.plugshare.com). Now I had some of the most challenging driving of my trip: night, some fatigue as it was after midnight, rain showers, and a winding two-lane highway with lots of deer-warning signs. The secret was to slow down to 45-50 mph. At one point, someone came up behind and I was able to warn them of our speed difference with emergency flashers and then turn off the road and let them by. Not much later, I came around a steep turn and discovered the carcass of a deer that had been recently hit. I had the lower half of my 17″ touchscreen showing the radar picture for Northern Nevada, and I could still see lines of thunderstorms marching towards Reno from the east. Minden remained south of the thunderstorms, and so I pulled in, and while waiting for a break in the storms took on a little more energy at the Tesla charger, across from a garage/casino (only in Nevada). 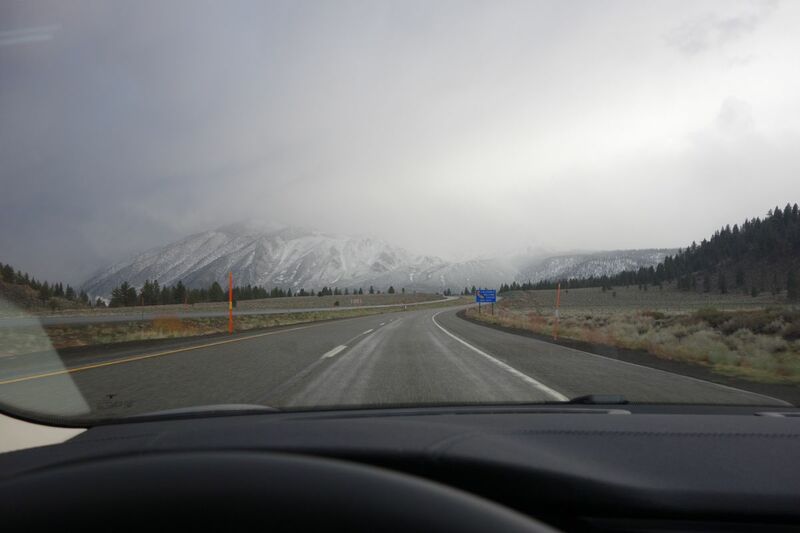 While one storm was hitting Reno, I saw an opening and headed north with the expectations that the storm would move west of Reno by the time I arrived. All worked well and I drove my Tesla into a protective garage at destination at about 4:00 am with no rain falling but another wave of storms approaching. The Tesla showed about 25 miles range remaining. I believe I passed the final exam. 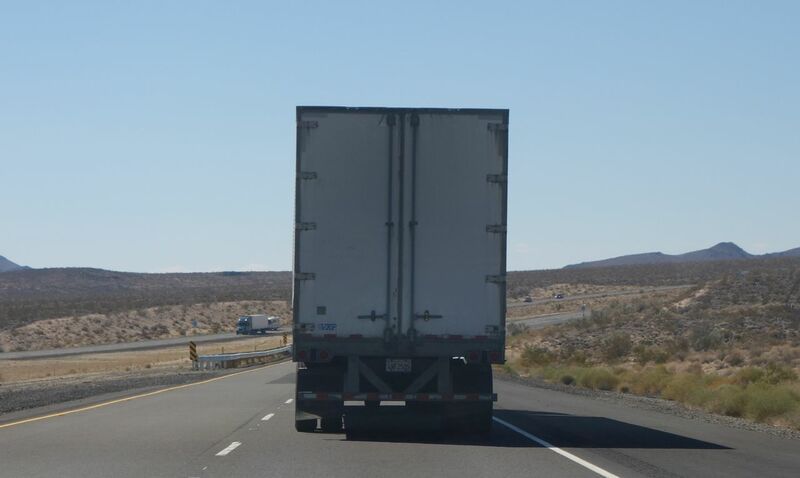 By drafting the semi-truck, I responded to the unexpected headwind. By maximizing charge at the last supercharger and splitting my charging into two non-supercharger locations, I minimized unnecessary charging while still leaving myself a suitable reserve. By slowing down on the dark winding mountain road in deer country, I minimized energy use and the chance of damaging this beautiful car through a deer collision. My use of the radar images on the 17″ touchscreen gave me the confidence to press on in questionable weather conditions. Looking back at the tour, I bet I spent less than $100 on energy (I don’t count the free electricity I picked up during overnight camping sessions at RV parks). The Tesla is a superbly safe vehicle which offered great reliability. Other than taking care of a noise in Seattle and having the tires rotated in Raleigh, N.C., no other maintenance issues were required. 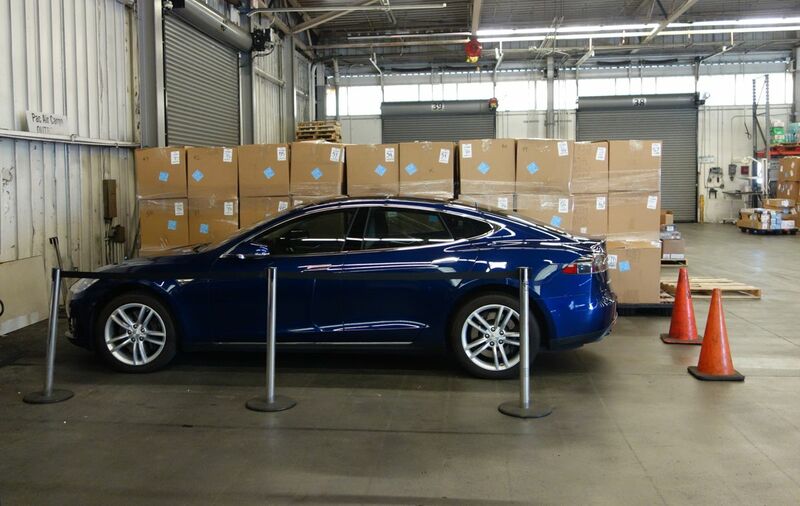 The massive storage capability allowed for tons of camping equipment, which meant comfortable nights of rest, and the Tesla’s reclining seat gave a comfortable night’s rest in Arizona when no motels or reasonable camping solutions were available. What a grand vehicle for such a trip! 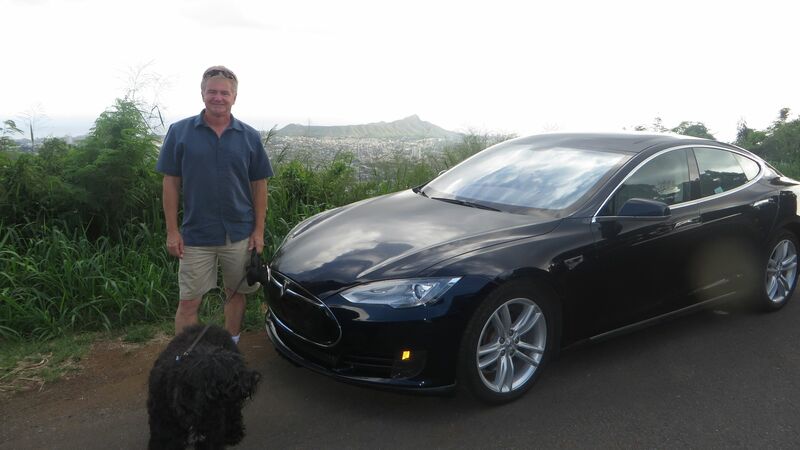 The next post will be a while later, from Hawaii, with Iceman and I once again touring in our other Tesla. In the meantime, I will be beefing up the auxiliary pages of this blog to make it a resource for Tesla and EV long-distance drivers.